Have you ever wondered what your favourite 8-bit video game soundtrack would sound like if it were performed by a live band? Local group Satan’s Cheerleaders may have just have answered that question with their third release Satan’s Cheerleaders Perform The Music Of The Last Ninja. The music of this album has a very unique stylistic characteristic that keeps you on your toes; each track presents its own journey. You may face a track that seamlessly moves from heavy, fast unison passages, to slow emotive saxophone melodies, to punk influenced vocal lead sections, or it might be a quaint, piano-led, jazz piece. The setting of each piece is appropriate, nonetheless, the stylistic diversity isn't erratic to the point that it seems inappropriate, and thematic elements tie everything together. So, smartarse musos get into the studio with a head full of influences and a universe full of ideas. And they cut an album. You reckon you know where it’s going? Nope, you haven’t a clue. Bossa nova to grindcore. Demented circus music to big band swing. Cut-time full metal racket to klezmer orchestra. This simply doesn’t make sense; and that’s the point. 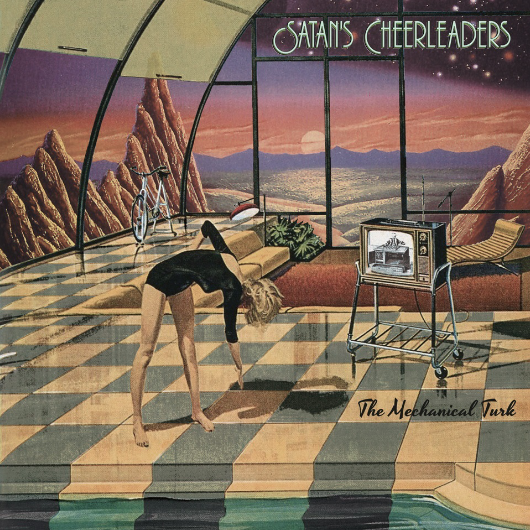 Satan’s Cheerleaders is the most serious musical pisstake you’re likely to hear, though this is not to say it’s a jokey album.